The BBC reports on the trial of Raymond Scott who is accused of stealing a rare early folio of Shakespeare’s works from Durham University in 1998. He allegedly stole the book from a glass display case at the university’s library, and then removed some pages, in an attempt to make it difficult for experts to determine the origin of the book. In 2008 he apparently took the book to the Folger Shakespeare Library in Washington DC with quite a story, claiming it was given to him by a major in Fidel Castro’s army. Staff at the Folger weren’t fooled however, bringing in an expert from Christie’s—Stephen Massey—who identified the folio. 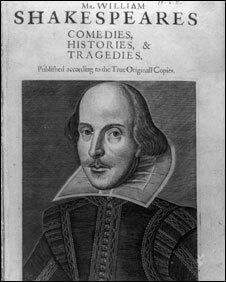 Man ‘mutilated’ stolen Bard folio, BBC, June 17, 2010, http://news.bbc.co.uk/2/hi/uk_news/england/wear/10343040.stm (last visited Jun 18, 2010). Previous Previous post: "Maybe a Man’s Name Doesn’t Matter That Much"